We will work hard to find the source of your condition! 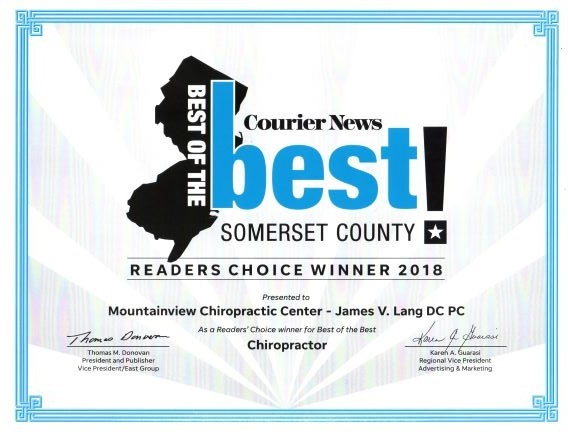 Located in the heart of Hillsborough New Jersey, Dr. James V. Lang and the Mountainview Chiropractic team are dedicated to helping you achieve your health objectives. By combining over 20 years of experience with state of the art treatment methods, they have been able to help thousands of patients from Hillsborough and the surrounding areas achieve their desired health goals. Mountainview Chiropractic Center has earned a reputation as a practice of choice for those seeking quality chiropractic care. They are committed to bringing you improved health and a better way of life by teaching and practicing the true principles of chiropractic wellness care. Patients seeking treatment with us can rest assured that they will receive gentle, effective and personalized care based upon their individual needs. We have a working relationship with physicians in the area and will work hand in hand with them to make sure all your health concerns are met. Dr. Lang and the staff have a genuine concern for your well-being! If you are new to our website, please feel free to discover and learn about chiropractic and the care we offer . If you are interested in starting your journey towards improved health please subscribe to our award winning newsletter. If you are already a newsletter subscriber, please explore the member section of our website for wellness articles, resources, and health facts---specifically targeted by Dr. James Lang to your wellness needs. 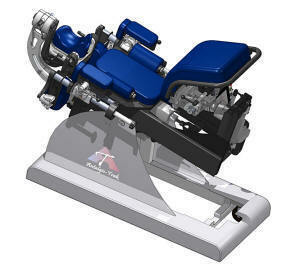 Please open the video below to learn more!! 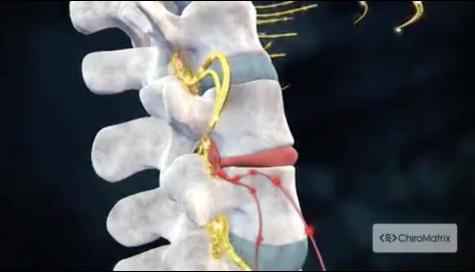 Mountainview Chiropractic Center is very proud to offer the latest non-surgical treatment option for people suffering with injuries to their spinal discs. We won again, thanks for your votes! "Dr. Lang is the consummate pro. When you are in his care you know you are being treated by the very best. I have complete faith and comfort in dealing with him, so much so that my children have been in his care for over 10 years. As a family of athletes, Dr. Lang has been an integral part of our ongoing wellness. All Chiropractors are not the same. Dr. Lang is a professional, an advocate, a healer and friend."